It isn’t uncommon for an issue to arise when a person buys or needs to upgrade a computer part but doesn’t know how to install or upgrade it correctly. The situation can quickly become frustrating when you can’t seem to figure out why the installation or upgrade didn’t work. If you’re someone who needs a part added or upgraded in your PC or laptop but doesn’t know how to go about doing it yourself, then you need professional computer hardware installation from Computer Corner to make sure your machine will continue to run properly. Hard Drives – Computer hard drives are where your files and programs are stored. Installing them may seem like a simple process but, you always have to make sure that your hard drives are actually compatible with your computer’s motherboard. You need to know whether your machine uses IDE or SATA hard drives and what kind of interface you have. 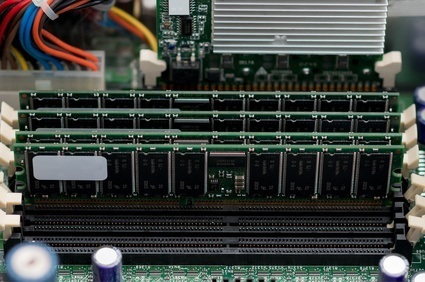 Memory – The amount of random access memory (RAM) that your machine has will directly determine how it performs when you use a large number of programs all at once. If you want additional RAM as part of your computer hardware installation, you first need to figure out what kind of RAM your computer uses. You will then need to determine where the RAM sockets are located on the motherboard and it's a good idea for all of your sockets to have the exact same kind of RAM, but at the same time be sure that your computer supports the amount of RAM that you're using. The Motherboard – Just about every other component inside your computer depends on the motherboard in one way or another, so what you can and can’t use will be determined by your computer’s motherboard. If your computer hardware installation involves putting a motherboard in, you have to be absolutely sure that all of your other parts are already compatible with it. Making the wrong choice could end up costing you even more money than you anticipated, which is why this and the aforementioned issues are best left to a professional. Installing the wrong part into your machine could lead to complications that can only be fixed by a costly computer repair. Make sure your hardware is properly installed by letting our experienced, trained professionals handle it for you. Please contact Computer Corner at (352) 460-1155 or use our online form to let us know how we can assist you with computer hardware installation services.